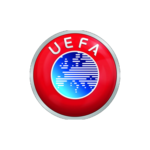 In 2013, FC Olympique 13 formed, the same year that UEFA admitted the territory into its ranks. 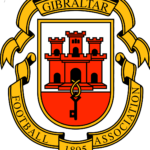 They debuted in the Gibraltar Second Division, finishing a respectable third place but missing out on promotion. The year after that was a little rockier for them, a seventh-place finish, but they improved in 2015, finishing fifth. During the 2016-2017 season, they finished sixth. The following the season, Nigerian businessman Sunday Adeleye took over the team and immediately started implementing changes directed at improving organization and function. Mr. Adeleye, already the owner of DSS FC of the Nigeria National League, was set on making an impact at FC Olympique, and his dedication showed. The newly re-branded club hired Scottish manager Lewis Fraser and completely overhauled the squad. The club’s ambitions were made clear with the signing of 3 former international players throughout the 2017–18 season, including goalkeeper Jordan Perez and striker Robert Montovio in the summer, and Lincoln Red Imps attacker Kyle Casciaro in January 2018. That season, the club beat Canons FC 16-0 to make it to the playoffs, unfortunately, they fell to Lynx FC 0-2 and missed promotion. In 2017/2018 FC Olympique 13 concluded their best season to date, finishing second in their division and making it to the quarterfinals of the Rock Cup. The changes that were implemented transformed FC Olympique 13 into a professional club of professional players and the future for the club looks brighter than ever as a result. FC Olympique 13 have eager projects to follow. One main goal set for the near future is to launch the youth sections and encourage youth development as a means for long-term growth. FCO 13 emphasize home-grown talent and work hard to motivate local amateurs to work and strive to become professionals themselves. The goal is not to win every one match but to establish the club as sustainable and well-renowned. The mission first and foremost is to develop football – an appreciation for it, a respect for it, and a devotion to it – within the community and to maximize participation at all levels. 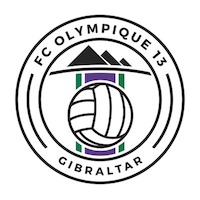 FC Olympique 13 moving forward, Gibraltar Footballs appears to be on the rise, crossing borders and expanding beyond the local community. As the club has proven, success is not just possible but the natural outcome of hard work and commitment.